Should We Let People Do What They Want? A couple of days ago I was watching “The Five”, an entertainment show about news on the Fox News Channel, right after the A-Rod scandal broke. It appeared to me that some of them at least, were arguing for allowing athletes to enhance themselves chemically if they wanted to. The argument was that it’s already here, lets stop playing games, selectively punishing people for not playing by the rules that no one is playing by. One thing I love about writing this blog, is that in trying to use facts to express my opinions, I learn a lot. I was going to write a simple article about the negative effects of legalizing a dangerous practice, but I just learned it that steroid use is not hiding in the shadows. I googled “body building and steroids” looking for the hyper muscular look that characterizes body builders, and found a website talking openly about how you need to get started early and make sure you use the legal ones. The ideology of modern day sportsmen to ride on an almost invincible winning streak is also one of the greatest contributors towards the popularity of muscle building steroids. It will not be wrong to say that there is a drastic difference in the level of competition in the bygone days and today’s times. The modern day athlete wants to develop a distinctive edge and muscle building steroids help him in his quest for success and glory. Furthermore, the audience is no longer interested in snail race, boring baseball games, low scoring matches, and average appearing sportsmen. Everyone wants to enjoy watching aggressive athletes, big hits & high scoring games, and intense competition right from the word go. Well, my research is leading me in a different direction than I first thought. I don’t follow sports, so I wasn’t aware how pernicious the drug use was. 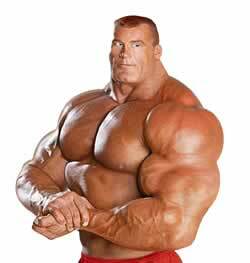 I do know that the body building world is dominated by steroid use. You can get pretty ripped naturally. But there are certain looks that don’t occur naturally. Any woman can tell you the steroid look is not attractive. It’s like women trying to be as thin as possible. Guys like curves. Women like men that don’t have big ropy veins sticking out everywhere. The cartoon superhero look doesn’t fly in real life. But I digress, the point is, in competitive body building the use of steroids is so overwhelming that a separate competition was started for natural body building. After coming to the conclusion that the use is so widespread that the argument of any punishment is selective, what then? Should we legalize it and let the chips fall where they may? Should we entice people to play sports with large sums of cash, knowing they are selling the long-term health? You could argue, based on what the NFL is experiencing, that there is no difference for them. Football players end up physical wrecks, with bad knees, backs, shoulders and concussion related problems. Is that any different than dropping over with a heart attack at 50 from the ‘roids? Do we want this to go to extremes? Well, let’s try and play this one out to its logical conclusion. If it is legalized, then the use will come out in the open. Young people will want to emulate their sports heroes and parents, hoping for a future in sports for little Johnny will get him on the medical regime as soon as possible. The only saving grace to this potential nightmare is if they start too soon, it will stunt bone growth, so they at least will wait till optimum height is reached. In any case, in one generation, we will get to see the potential results from mass use in young people. Let’s say by some miracle, this doesn’t happen, and they wait till they get to the minor leagues to start. If everyone does it, it will be the guy who uses the most or best who wins. Isn’t that a cute little arms race to start? And what would the ultimate end of that be? And don’t tell me it’ll only be professional athletes who will be doing it, we already know that isn’t true. The arguments about this mirror the arguments about legalizing drugs. We will get to see how that plays out here in America, as two states have legalized recreational use, along with many others who have legalized it for medicinal reasons. There are those who would legalize it all, on the basis of then it would be controlled and would take it out of the hands of the drug cartels, eliminating the crime that accompanies it. While I agree that in both cases, our attempts to stamp it out by making it illegal seem futile, legalizing wouldn’t decrease the use in the slightest, and I can’t see how it wouldn’t increase it. We are not rational, intellectual creatures, weighing the pros and cons. We are emotionally driven, and there is a lot of drive to do the wrong things. Many people wouldn’t even say these things are wrong. According to the proponents, many people use steroids without any side effects. I find that hard to believe. If we are so concerned with any hormones or additives to our food, which may or may not be absorbed by the human body, how can we not be concerned with substances which so dramatically and visibly change the human body? While making them illegal isn’t stopping anyone, it is at least having a dampening effect, and maybe that is the most we can hope for. At least until we stop paying athletes more than the scientist that might cure your cancer. C’mon, does it get any better than that? I love what she says about “forced in gym class”. Anyone who reads this would think I’m some kind of athlete. Anyone who knew me growing up would be astonished at that. As a teenager I actually said, out loud, and meant it:”If my legs were paralyzed it wouldn’t change my life much, everything I love is mental.” My, how times have changed! I was uncoordinated, had lousy balance and didn’t like team sports. I still can’t run well. If they had a way to have kids explore their interests in things like lifting, martial arts, yoga, non competitive aerobics, etc. Then maybe kids wouldn’t be so anti gym. Gym should be about making you the best you, not about seeing who’s the best at dodgeball, and humiliating those who aren’t. Anyway, once you learn to love your body and what it can do, it changes everything.